Learn common barriers that get in the way of lasting love and effective strategies to achieve closeness. Most people believe they want love in their life, but most also face challenges that lead them to stop engaging in loving actions. The feelings between couples diminish when they stop treating each other as separate people, with the respect, attraction, passion and affection that make up what we call romantic love. 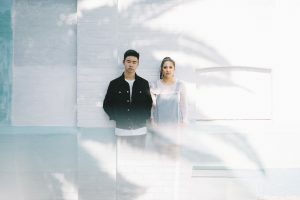 Often, by the time couples realize there’s a problem or seek help in therapy, they’ve become entangled in destructive patterns that have disconnected them from their loving feelings and damaged the relationship. In order to keep their warm, attracted feelings alive, people must remember to treat love as a verb. It is a way of being more so than a state of being. Research shows that engaging in kind, loving actions actually makes us feel more in love. In this 90-minute Webinar, Dr. Lisa Firestone will explore what it really means to be in love. Drawing on the latest research and her clinical experience, she will explain how people can be more loving in their actions and maintain their loving feelings over time. Dr. Firestone will draw on Dr. Robert Firestone’s concepts’ “fear of intimacy” and the “fantasy bond” as well as findings from attachment theory and Emotion-Focused Therapy to describe common patterns that create distance and proven strategies to achieve more closeness. Individuals, couples, and therapists working with clients will benefit by learning about how negative dynamics operate, how they can be avoided, and how they can be replaced with more vulnerable, open, loving actions and communication that allow a person to have more love in their life. Describe how the Fantasy Bond can diminish real loving feelings and behaviors. Cassidy Seminars is approved by the American Psychological Association (APA) to offer continuing education for psychologists. R. Cassidy Seminars maintains responsibility for this program. Cassidy Seminars, ACE provider #1082 is approved as a provider for social work continuing education by the Association of Social Work Boards (ASWB) www.aswb.org, through the Approved Continuing Education (ACE) Program. Approval Period: April 15, 2012-April 15, 2015. R. Cassidy Seminars maintains responsibility for the program. Social workers should contact their regulatory board to determine course approval. Social workers will receive 1.5 live or 2 homestudy continuing education (clinical, social work ethics) clock hours in participating in this course.